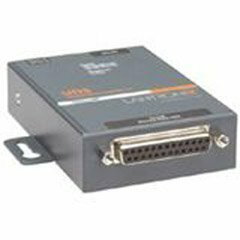 The UDS family of device servers provides a hassle-free and inexpensive way to add Ethernet connectivity to virtually any device with a serial interface. Designed from the ground up with ease-of-use in mind, each member of the UDS family enables users to connect to, monitor, and control their equipment from practically anywhere via a network or the Internet. If you have any questions about this product by Genuine Lantronix, contact us by completing and submitting the form below. If you are looking for a specif part number, please include it with your message.